Confidis management team has more than 45 years of combined industry experience. In collaboration with Shinewest Corporation Pty Ltd, our team has a comprehensive understanding of the industry. 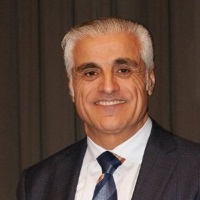 Confidis Pty Ltd was founded by industry expert Anthony Aoun. Anthony has more than 16 years experience in real estate sales, including international property experience. Even as a young person, Anthony knew inventiveness and curiosity were the keys to good work practices, attributes which continue to bring him success today. His career began in the tool making trade, where he came 2nd in the State in 1979 and 1st in the State in 1980. He is a former mechanical engineer for the NSW State Rail Authority; head of plant & equipment maintenance for WD & HO Wills; has owned and operated two retail food and health stores in prestigious Sydney suburbs; worked as a professional salesman for a national transport company and as Operations Manager for an excavation company. A chance opportunity made real estate become his passion in the 1990s. Anthony identified a need for property buyers to have disclosure and evaluation tools when purchasing investment properties. In response, he founded the first version of the www.propertycompass.com.au investment property website in 1998; well ahead of its time, when the internet was still in its early days as a business tool. He also founded www.CentralPropertyExchange.com.au (CPx). CPx is a real estate advertising platform; provides graded properties with no real estate agent ‘selling-fees’; and both sellers and buyers with fair and independent representation. An Australian first!. He assisted in the concept of Propdata, a web-based business that enables independent analysis for the property market. He was the Founder and Managing Director of a large investment property marketing business, with more than 50 staff based in New South Wales with offices, Queensland, Victoria and Indonesia. Anthony also founded www.Aoun.Co – property and business consultancy. Brian McNamara is a director of Shinewest Corporation Pty Ltd and has over 30 years experience in financial management, banking services, corporate and investment advisory services, property funds management and syndication. Mr McNamara is also a director and principal of Churchill Securities Pty Ltd a company which holds an Australian Financial Services Licence (AFSL No 293734) also specialising in the provision of financial services to the sophisticated investor, corporate and SMSF sectors of the market. 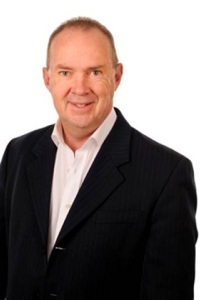 Mr McNamara holds a Bachelor of Economics Degree, is a Fellow of the Australian Institute of Company Directors, a Fellow of the Australian Institute of Management and a member of the Self Managed Super Fund Professionals Association. Prior to setting up Shinewest Corporation Mr McNamara was a director of a property funds management company involved with the syndication and development of a number of property development projects. Previously he was the Chief Executive Officer of an ASX public listed company specialising in investment property management and prior to that he was the Chief Executive Officer of a Western Australian based Credit Union, where for a period of 15 years he was responsible for the provision of a full range of banking, financial planning and investment services to a client base of approximately 20,000 members. Mr McNamara has been involved with the raising of funds for both listed and unlisted entities involving various types of security instruments and has extensive experience in the development of Business Plans, Prospectuses, PDF’s, Information Memorandums and IPO documentation. He has over 25 years experience as a director of companies involved with the financial services, information technology, funds management, travel, insurance and property industries.